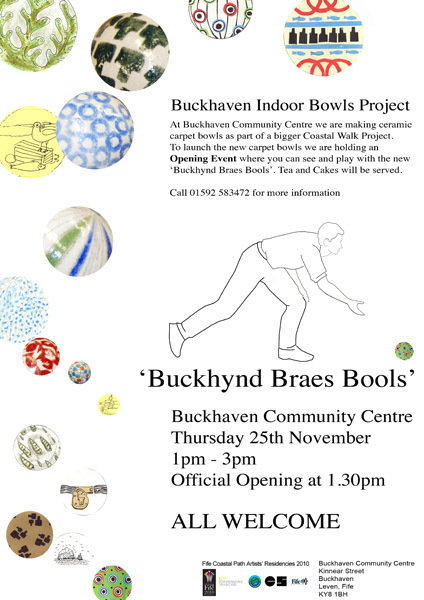 We have set the date for the BBB Bowls Tournament – Thursday 25th November 1pm – 3pm at Buckhaven Community Centre. It will be a chance to see and play with the bools we have been making and to meet some of the designers. Tea and cake will be served. All are Welcome.